Yesterday there were a bunch of helicopters hovering around downtown. 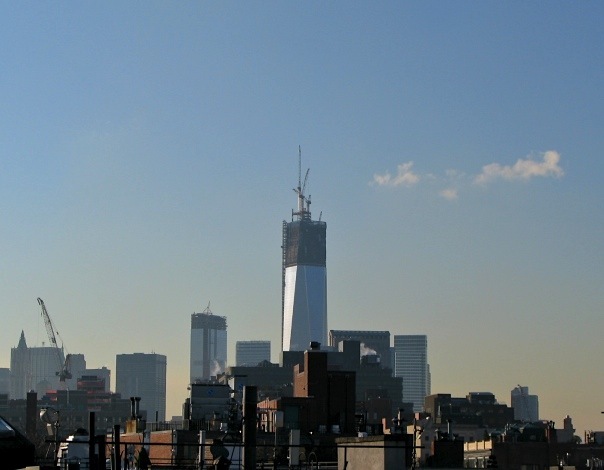 My first thought was ‘Occupy Wall Street,’ but I found out later that the helicopters were buzzing about because the first piece of what will become the spire was added to the top of One World Trade Center. 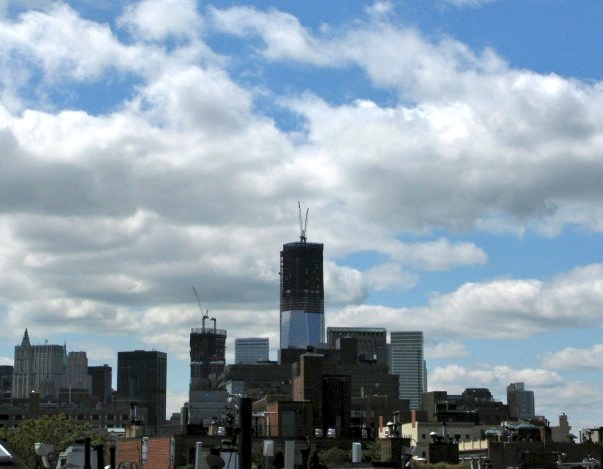 When it’s done, the spire is what will make One World Trade Center New York’s tallest building. I don’t know, that’s kinda cheating, isn’t it? 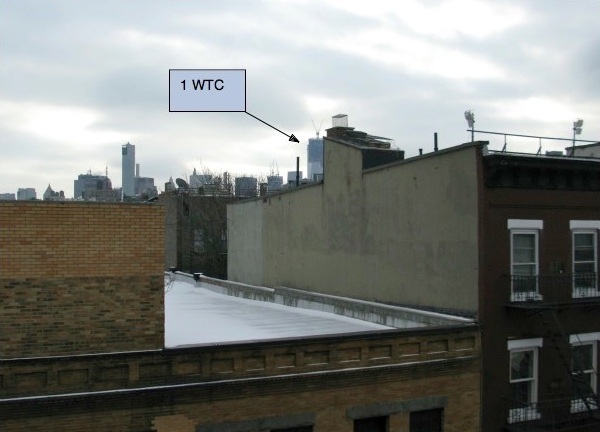 But here’s how One World Trade Center looked in January, 2012, from my living room window. The view this morning. Nice light. A perfect morning to sip coffee and stare out the window. 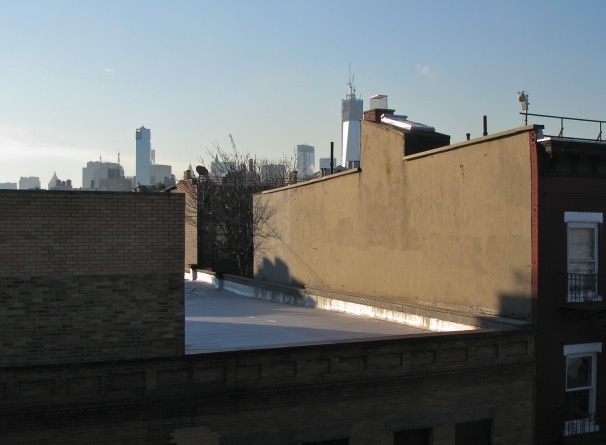 This is a view from the roof, taken in May, 2012. The light is still nicer this morning, but will you look at those clouds! I almost wish I had waited for another day, but I had this energy this morning, so I struck while the iron was hot, as they say. God, blacksmiths had scary jobs. Striking red hot burning iron for a living. That reminds me!! One of my favorite books of all time is being made into a move, A Winter’s Tale, by Mark Helprin. I’ll post about that tomorrow. The sky looks so empty and dismal in comparison. Actually I think that just makes it the tallest building in NY. That monstrosity in Dubai is like 2,800 feet high, a full thousand feet taller than this building. But ours is MUCH nicer. Oh! Thanks for the correction! I will edit my post.